With his sense of humour and great positive attitude, Levi Roots is an excellent spokesperson. His outlook on music, cooking, business are all to thrive higher and achieve more, so his expertise is always ready to inspire any new business makers. Below is an example of him talking to the BBC about the struggles, overcoming them and building yourself a successful business. If you're interested in a businessman for any radio or TV interviews please get in contact with us. Keith Valentine Graham (born 24 June 1958), better known as Levi Roots, is a British-Jamaican reggae musician, television personality, celebrity chef, businessman and multi-millionaire currently residing in Brixton, in south London. 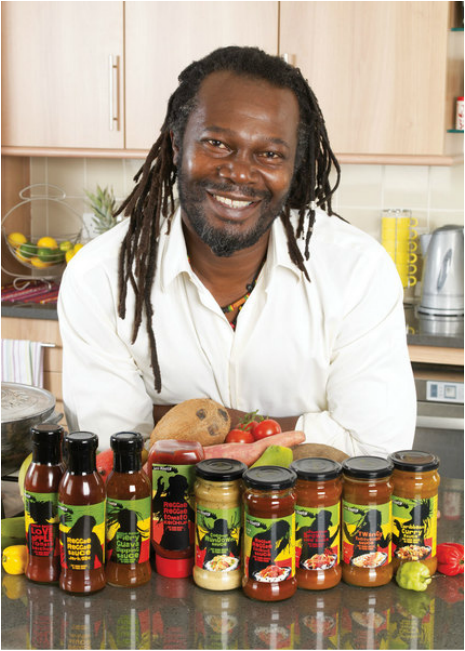 On 7 February 2007, Levi Roots appeared on Dragons' Den and convinced Peter Jones and Richard Farleigh to invest £50,000 in return for 40% of his company. The sauce gained fame as a result of his memorable television appearance and on 9 February, Sainsbury's were confirmed to be interested in stocking it. On 7 March, the sauce went on sale nationwide. The product's catch line is "Put some music in your food". 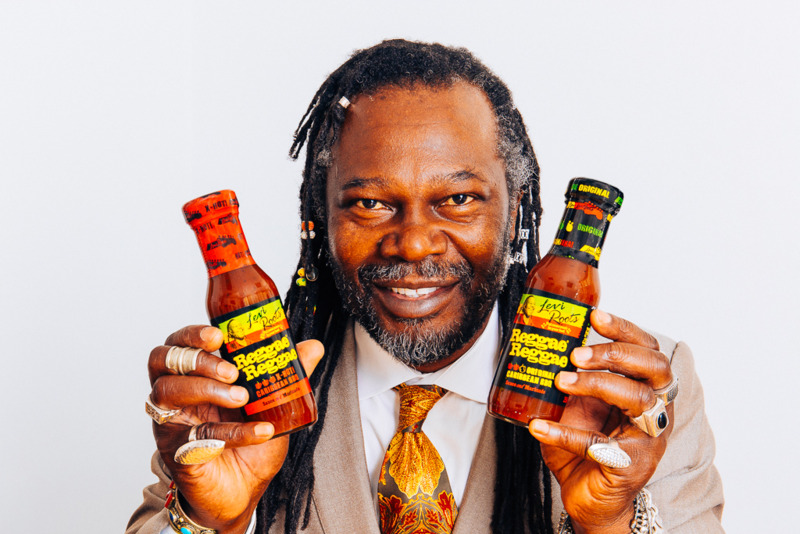 Levi Roots released an accompanying single of his "Reggae Reggae Sauce Song" which he sang whilst pitching his product on Dragons' Den, and also on Harry Hill's TV Burp. The song was released as a download with proceeds going to Comic Relief. In September 2008, Reggae Reggae Sauce was voted as a CoolBrand by a panel of experts and the British public. Despite Levi saying he wanted production of his sauce to continue in the UK, production moved from Wales to Poland in March 2007. Initially the sauce was carried exclusively in Sainsbury's supermarkets but now many supermarkets in the UK and Ireland stock the sauce. A follow-up episode of Dragons' Den, aired on 18 July 2007, revealed that Sainsbury's had expected the sauce to sell 50,000 bottles in its first year. In fact it sold 40,000-50,000 bottles per week. In the first half of 2008, Roots launched "Love Apple Tomato Sauce" and "Fiery Guava Dipping Sauce" in the same style as Reggae Reggae sauce. A cookbook called Reggae Reggae Cookbook was released in June 2008. The "Love Apple Tomato Sauce" was later renamed "Reggae Reggae Tomato Ketchup". Restaurants Subway, JD Wetherspoon, Hungry Horse, Slug and Lettuce as well as the Scream Pub chain now offer the sauce on various menu items. In July 2009, Birds Eye released chicken Chargrills in Reggae Reggae Sauce.